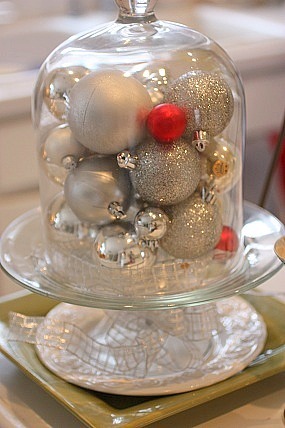 Many of you agree that decorating on a dime brings out the creative juices. For me, it’s no different during the holidays. In fact, it’s so fun to see what one can create out of the items that are already on hand. 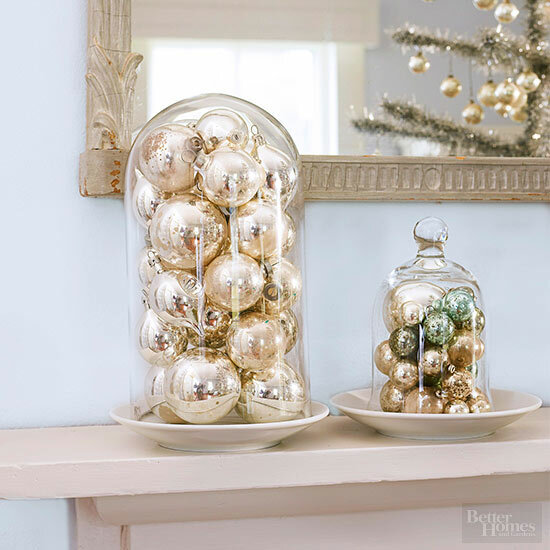 Inspired by this easy decorating idea, I found jars, bowls and glass cloches to fill with ornaments and placed them throughout every nook and cranny. 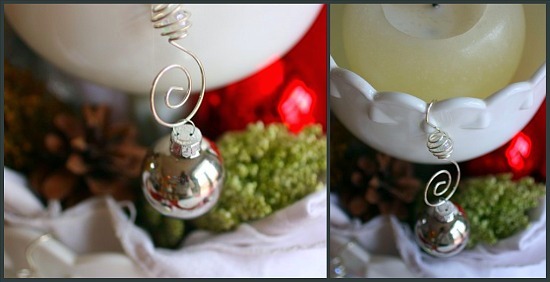 I decorated so many areas that typically go untouched just by adding a touch of ornaments. December 26th marks the start of a new holiday decorating season. Most people can’t wait for Black Friday, but I get up early Dec. 26. Keep your eyes peeled for 50 – 75% off ornaments the week after Christmas. Last year, three entire weeks AFTER Christmas, Walmart still had ornaments left over. I was shocked. I picked up about one hundred ornaments at 90% off. That typically doesn’t happen, but it enabled me to decorate for pennies on the dollar this year. 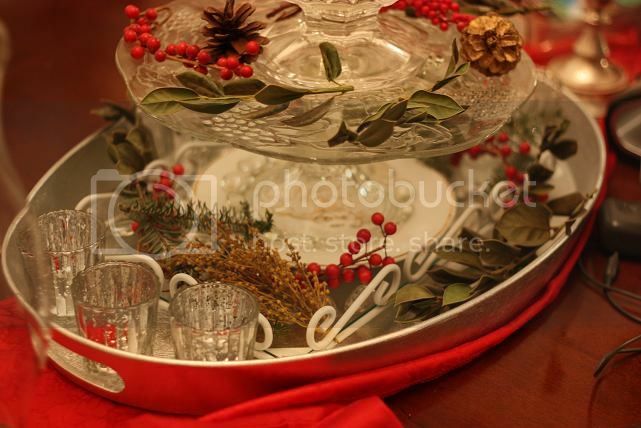 By layering a $2 cake stand on top of two yard sale decorative plates, filling ornaments in my cloche and VOILA – I’ve added festivity for a few dollars, but better yet, done in a few minutes. Last year, I showed this silver tray I picked up for only $3.75 at Target. Again, I paired it with another cake stand, tray, and plates from yard sales. 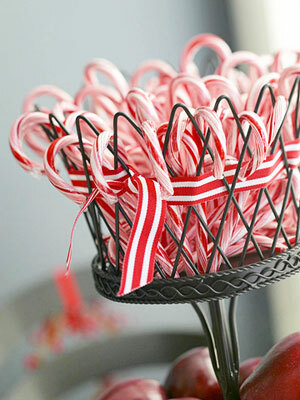 This created a Quick and Easy Centerpiece for just dollars. One of my side table was a bit boring, so I grabbed one of my my white $1 yard sale bowls, filled it with ornaments, pine cones, acorns, shells, holly and more for a “bring the outside in” look. Are you hosting something over the next week and just want to spruce up the decor a bit? Go buy some discounted ornaments and fill some bowls. If you can’t wait til after Christmas, I was at the Dollar Store tonight and they have them, as well as Big Lots who has already marked Christmas items down 50%. Add candles and beads for additional elegance. 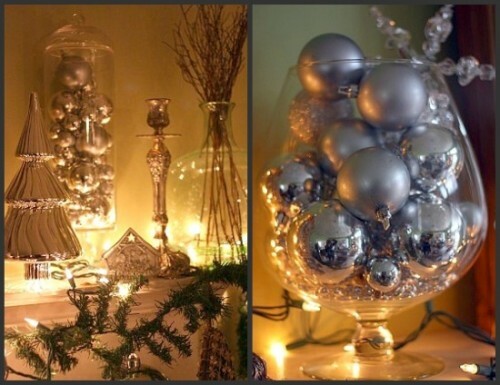 Show case your vintage or sentimental ornaments while adding drama by highlighting them on a candle holder. These few are all BHG inspired. 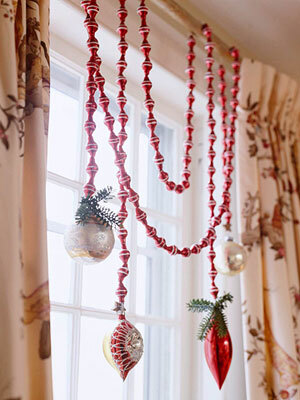 In seconds, you can drape beaded garland on your window treatments for a touch of holiday love. And how elegant is this bathroom? 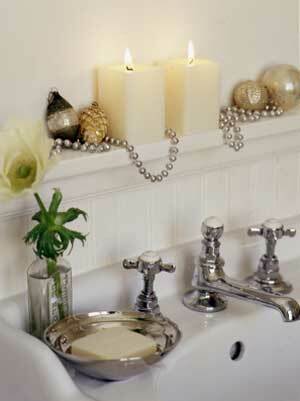 By adding just a few beads that you could find at the dollar store, mixed with ornament and candles changes this boring bath to beautiful glam. I LOVE this. Beautiful post. 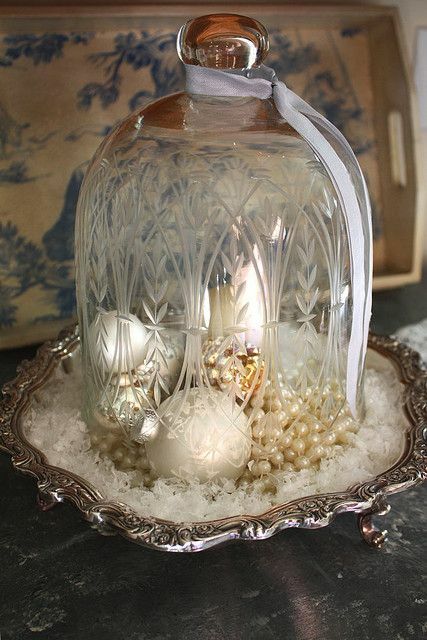 Lovely ideas that seem quite easy to put together and not costly, which is always a wonderful thing. 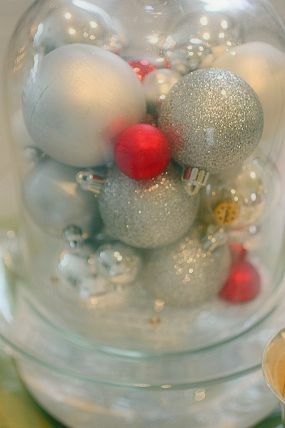 A friend of mine puts Xmas balls in a large clear glass jar. She changes the colors as the year goes on to coincide with the season. Pretty! OMG I wish I lived near you because we could have some serious fun decorating. I have done so many similar ideas to what you have shown here and yet with different twists. 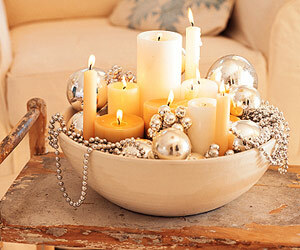 I love the bowl of candles and ornaments – lovely! I will be on the hunt the day after Xmas as well and with any luck I will be hunting things that others aren’t as interested in either. I will definitely think creatively and that will let me pick up stuff others pass by. I love your blog and found it through the holiday giveaway contest. I have marked it as a favorite. Thanks! Beautiful! You really have a great eye for decorating for Christmas! I love the after Christmas sales! Merry Christmas! I can’t believe you told people about the Walmart thing. That is my big secret, I’ve only ever told 1 person. This year I’m going sooner, some things are worth getting 1/2 price. However, since we never shop on Sunday I have to wait until the 27th this year. Merry Christmas!